Amish made soft padded leather dog leash, metallic colored, variety of choices for all dog lovers. Amish made soft padded leather dog collar, two colored, variety of color and size choices. Amish made soft padded leather dog leash, two colored, variety of choices for all dog lovers. Plain Leather Dog Leash, Flat Style, Made in the USA for all dog lovers. Very durable and stylish nylon dog collar in a variety of colors for all dog lovers. 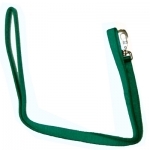 Very durable and stylish nylon dog leash in a variety of colors for all dog lovers. 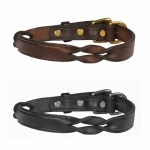 Very durable leather dog collar in brown or black, traditional style for all dog lovers. Clincher Dog Collar handcrafted from premium leather in the USA. Full Stitched Dog Leash handcrafted from premium leather in the USA. Laced Dog Collar handcrafted from premium leather in the USA. Laced Dog Collar with Blank For Name Plate handcrafted from premium leather in the USA. 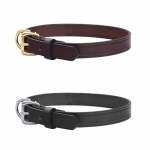 Plain Leather Creased Dog Collar handcrafted from premium leather in the USA. Raised Leather Dog Collar handcrafted from premium leather in the USA. Raised Leather Dog Collar with Blank For Name Plate handcrafted from premium leather in the USA. Plain Creased Dog Leash with Rolled Hand Hold handcrafted from premium leather in the USA. Plain Creases Leather Dog Leash with Rolled Hand Hold handcrafted from premium leather in the USA. Laced Leather Dog Leash handcrafted from premium leather in the USA. Plain Leather Creased Dog Leash with Rolled Hand Hold handcrafted from premium leather in the USA. 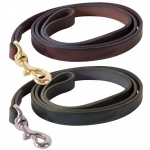 Tory Leather 5&apos; Rolled Slip Leash is quality leather that looks and feels good in your hand. Split Twist Dog Leash handcrafted from premium leather in the USA. Need to walk two dogs at once? Well here is the answer! 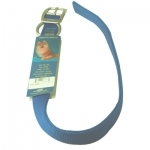 NEW Tory HANDS FREE Jaeger dog leash is ideal for people with hunt dogs & joggers & walkers.